Looking for another justification to drink a cup of tea? Tea catechins are increasingly associated with lowering risk of serious diseases including heart disease and neurological disorders. Increasing research has uncovered the scientific reasons behind why this delightful beverage is so good for you. Catechins are compounds that can help regulate blood pressure, increase weight loss, and protect the brain from disease. Some of these compounds, including one of the most potent, are found exclusively in tea. Find out more about these healthy little compounds and how a piping hot cup of tea can help you live a healthier life. Catechins are natural phenols and antioxidants that are also known as flavan-3-ols. The main dietary sources of catechins in the United States and Europe are tea and fruits from the Malinae subtribe of the Rosaceae family. These fruits include apples and pears and are typically defined by a core of several small seeds. Catechins are also found in wine and chocolate. Not all teas are equal when it comes to tea catechins. Green tea contains the highest levels of catechins. Green tea is derived from the leaves of the Camellia sinensis tea plant. It is one of the four true teas, which also include black tea, white tea, and oolong tea. Green tea leaves are harvested by hand, rolled, and dried to prevent oxidation. Japanese green teas are dried using steam whereas Chinese green teas are pan-fired or roasted. The leaves maintain their natural green color and they also contain high levels of healthy compounds including tea catechins, flavonoids, and tea polyphenols. Green tea contains high concentrations of four main types of catechins. The green tea catechins are epigallocatechin gallate (EGCG), epicatechin (EC), epicatechin gallate (ECg), and gallocatechin (GC). Some of these catechins including EGCG are found solely in tea. On average, catechins make up around 25% of green tea leaf composition (1). The catechin content of any given type of tea depends largely on where and how the tea is produced. Tea catechins are present not only in true teas, but in some herbal varieties as well. These tea catechins are released when the tea leaves are infused in hot water. Tea catechins are easily distributed throughout the body when consumed. Catechins may help to prevent oxidative stress that leads to premature aging, cardiovascular disease, and certain types of cancer. Drinking tea may boost overall health and increase lifespan. Tea is legendary for its weight loss benefits. Most of these health benefits can be attributed to polyphenols and catechins present in teas. Catechins help to speed up metabolism and increase body temperature. This signals the digestive system to convert fat stores into energy more quickly. Tea catechins boost fat burning by stimulating neurotransmitters and chemical processes. Obesity is one of the leading causes of premature death for Americans. Obesity has been linked to a host of deadly diseases including cardiovascular disease, high blood pressure, and diabetes. Excess fat can also lead to high levels of bad LDL cholesterol known as Low Density Lipoprotein. A study conducted by L.J. Zhao found that obesity may also be linked to osteoporosis (2). Drinking tea can help to lower the risk of obesity related diseases thanks to the fat burning effects of catechins. A study published in Nutrition Research by N Chen examined the impacts of epigallocatechin on rat with high-fat diets. The rats were given a 15% fat diet for a period of 6 months starting when they were 4 weeks old. The rats were also given either EGCG, green tea, black tea, or water. EGCG was shown to increase lean mass, glucose tolerance, and gene expression. The EGCG also stimulate adipose tissue, which is responsible for storing energy in the form of body fat (3). A study published in the Journal of Nutritional Biochem examined the effects of green tea extract during moderate activity. The study consisted of 27 healthy males that regularly underwent physical activity. The men were divided into two groups and examined for 7 days. The experimental group took 1200 milligrams of tea catechins and the control group took a placebo. The men who took catechins had significantly increased rates of metabolism and fat burning (4). Another study published in the Journal of Clinical Nutrition investigated the effects of tea catechins on weight loss. The study started with a group of Japanese men who underwent a 2-week diet run-in period. The men were then divided into two groups based on similar BMI and waist circumference. The researchers conducted a double blind study for 12 weeks while the men consumed tea catechins in varying amounts. The men that consumed higher levels of tea catechins showed significant decreases in waist circumference and body fat (5). Catechins may help to prevent certain types of cancer including breast cancer and prostate cancer. 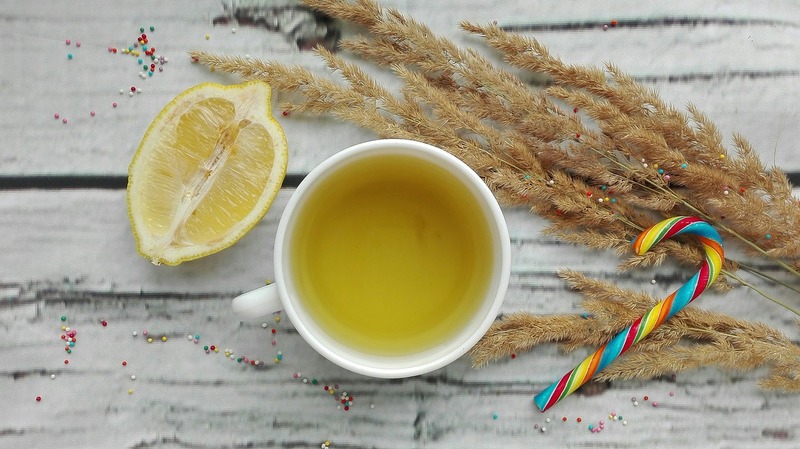 The antioxidant activity of catechins is most commonly credited with these health benefits. Catechins help to protect DNA strands from damage and may inhibit the growth of tumors. In certain conditions, catechins have also demonstrated the ability to induce apoptosis—death—in cancerous cells. A meta-analysis published in the World Journal of Clinical Oncology analyzed the effects of tea catechins in breast cancer treatment and prevention. Researchers found evidence that green tea significantly reduces the recurrence of breast cancer in patients who consume at least 3 cups per day. They also found a 19% decrease in breast cancer incidence in people who consumed high amounts of green tea (6). 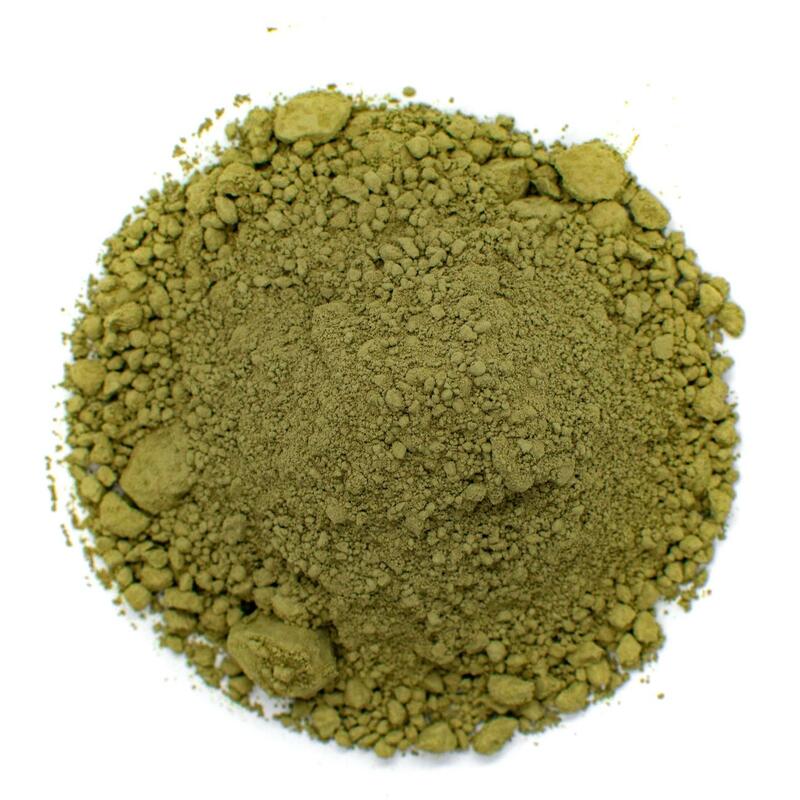 Our Organic Jasmine Green Matcha Tea has caffeine and tea catechins that can help you lose weight. 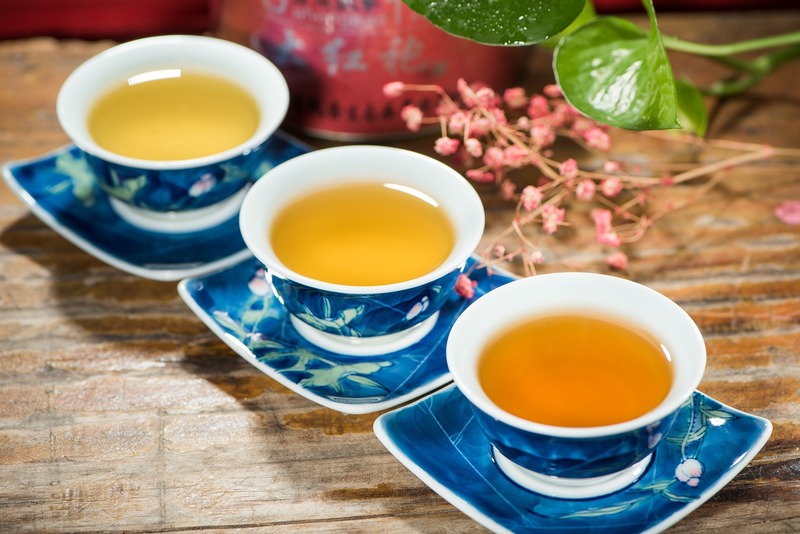 A study published by Dr. Wang in Epidemiology investigated the beneficial effects of tea catechins on liver cancer mortality. The study consisted of 89,789 participants between the ages of 25 and 69. The study classified tea drinkers as individuals who consumed tea at least 4 times per week. The results showed that regular tea drinkers had lower mortality rates compared to people who didn’t drink tea (7). A systematic review published in Nutrients examined the impacts of tea catechins on breast cancer. Researchers found the EGCG protects DNA from damage that can cause breast cancer. EGCG also helps to suppress tumor proliferation and induce death in certain cancer cells. The results were more pronounced in vivo rather than in vitro (8). Researchers believe this is due to the low bioavailability of tea catechins. That means that tea catechins aren't always as easily absorbed in human clinical trials as they are in laboratory studies. Research published in the Journal of Food Science by JH Chung found that tea catechins are more easily absorbed when combined with vitamin C. Another HPLC—high-performance liquid chromatography—analysis found that catechins are more easily absorbed when combined with capsicum vanilloids including spicy peppers. Scientists think that increasing the bioavailability of tea catechins may results in more pronounced cancer prevention effects (9). Catechins in tea may help to protect the brain from serious disorders including Alzheimer's and Parkinson's Disease. The antioxidant properties of green tea help to prevent free radicals from invading the body. Free radicals are caused by pollution, excess alcohol consumption, and other environmental factors. Free radicals cause oxidative stress that breaks down normal chemical processes. A review published in the Journal of Nutritional Biochemistry analyzed the research on tea catechins in Alzheimer's and Parkinson's. Researchers found that neurological diseases are often caused by oxidative damage. Catechins can offer protective effects by blocking the free radicals that cause oxidative damage. Another study published in Experimental Physiology examined the effects of catechins on the brain after traumatic injuries. The study consisted of rats that experienced traumatic brain injuries. Researchers found that catechin treatment resulted in neuroprotective effects. The catechins ameliorated brain damage and protected against motor and cognitive defects after injury. Catechins also exhibited anti-inflammatory properties that helped to protect against brain-swelling (10). A scientific review published in the Journal of Nutrition researched the effects of catechins such as EGCG on neurodegenerative diseases. The evidence showed that EGCG helps to prevent cognitive decline and prevent neuron damage associated with autoimmune disorders. There was evidence that EGCG prevents the depletion of dopamine associated with Parkinson's disease. EGCG was also shown to increase mental acuity and promoted better memory recall (11). Drinking tea may help to support heart health. Polyphenols, flavonoids, and catechins in tea have all been correlated with a lower risk for heart disease. Tea compounds help to reduce inflammation and the growth of soft muscle tissue that can results in hardened arteries and high blood pressure. Catechins such as EGCG are particularly powerful in preventing heart disease. A study published in the Chinese Journal of Natural Medicines analyzed the effects of catechins on heart disease. Researchers found that green tea catechins helped to prevent congestive heart failure and hypertension by reducing oxidative stress. Catechins also prevented inflammation and reduced platelet clumping, helping to reduce the risk of blood clots and heart attack. Catechins were also found to regulate blood pressure. Another study published in Epidemiology investigated dietary catechins on coronary diseases in postmenopausal women. The study consisted of 34,492 participants who were examined from 1986 to 1998. Researchers found a significant association of increased catechin intake and decreased heart disease death (12). The incidence of diabetes has increased in America over the last decade. Diabetes is a disease that affects how your body absorbs glucose. Diabetes occurs when the body is unable to produce enough insulin or when it doesn’t' respond appropriately to insulin. Low insulin levels lead to low blood sugar and symptoms including fatigue, blurred vision, and frequent infections. Tea catechins may be able to prevent and regulate symptoms of diabetes. A study published in Clinical and Experimental Pharmacology and Physiology examined tea catechins and diabetes. Researchers induced oxidative stress in type 2 diabetic red blood cells. Researchers found that cells injected with tea catechins had lower levels of oxidative stress. Researchers attributed these results to the antioxidant effects of catechins. The antioxidants worked to eliminate free radicals that can lead to oxidative damage. The results show that tea consumption lowers the risk of long-term complications of diabetes (13). Another study published in the same journal found that epicatechin mimics the role of insulin. Tea catechins were injected into red blood cells in vitro. The researchers found that catechins restored glucose absorption to normal levels. The catechins also worked to trigger neurotransmitters in a way similar to insulin (14). Green tea polyphenols, including catechins, may help to provide protection from harmful UV rays. A clinical trial published in the Journal of Nutrition researched the impacts of tea catechins on 60 female volunteers. The double blind, placebo controlled study lasted for 12 weeks (15). Participants that consumed tea catechins demonstrated a 25% decrease in UV-induced skin discoloration. The tea catechins were also found to improve blood flow 30 minutes after ingestion. 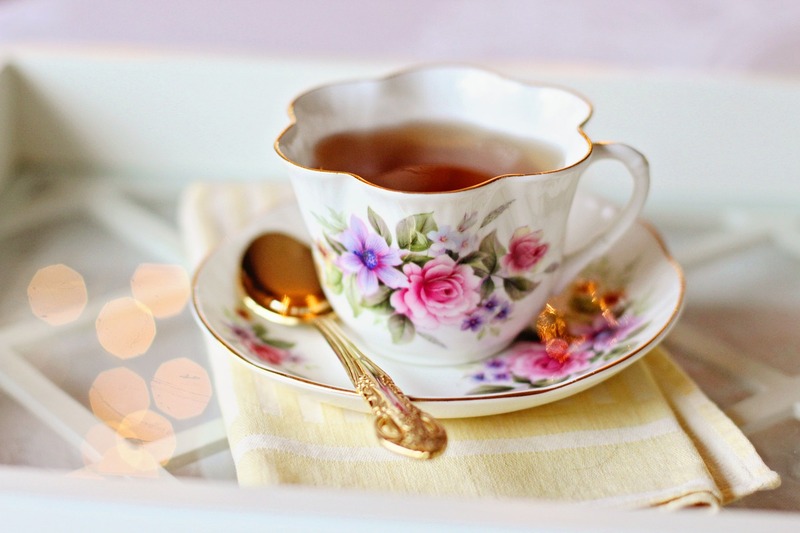 The participants that drank tea also had smoother skin, less peeling, and increased elasticity. Tea catechins including EGCG may help to increase performance during endurance activities. A scientific analysis published in Antioxidants in Sport Nutrition examined the effect of green tea catechin content on sports performance. Researchers found that catechins increase fat oxidation and limit the body's need to produce glycogen. This helps to improve endurance capacity and decrease fatigue and exhaustion. Research demonstrates that tea catechins may help you workout harder and longer (16). The scientists also found that tea catechins increased oxygen levels in skeletal muscles, helping to support intense exercises. The catechins also reduced fatty acid concentration in blood cells, indicating an increase in endurance. 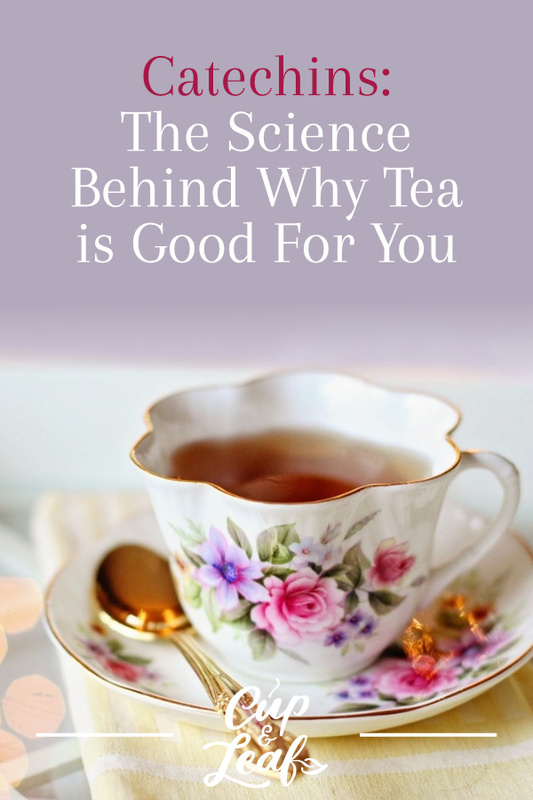 Tea is a widely acclaimed beverage thanks to years of research. This beverage has been revered in Asia for centuries thanks to its concentration of antioxidants and healthy compounds. Tea catechins have increasingly become a central point of research in the western world. Scientists have discovered anti-cancer properties in these compounds as well as potential protective effects against brain deterioration. Catechins may help increase energy and streamline digestive processes to accelerate weight loss. Drinking tea regularly may help you live longer and is often correlated with a healthier lifestyle. 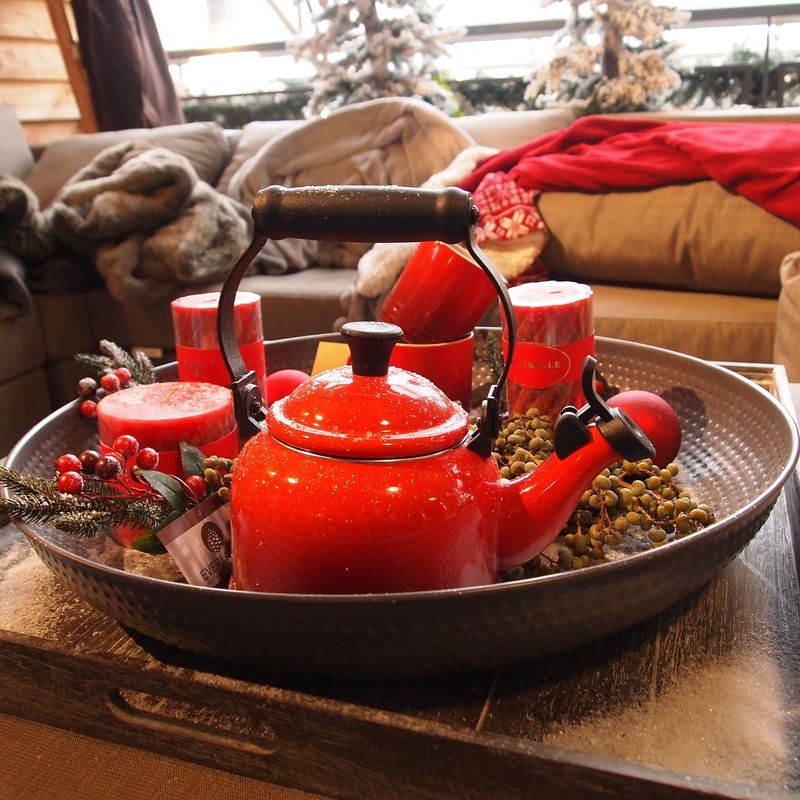 Pour yourself a cup of tea and sip to good health.